Please call Richard at 361-758-7487. Boat Location: Aransas Pass, Texas. 61 Foot Crew Boat with a 12'x 12'deck, 500 Gallon Diesel Fuel Capacity, 60 Gallons Potable Water, 2 20kw Northern Lights generators, 2 6 Cylinder Iveco Engines 1040 HP, Radar, 2 VHF Radios, 1 Single Band Radio, Depth Indicator, GPS. 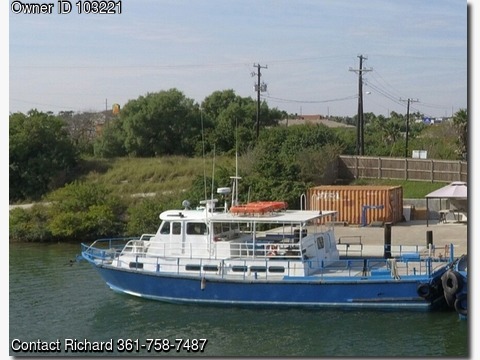 Has current USCG COI, new paint topside and spare set of propellers. Just installed new A/C condenser.